By designer Rachel Cross, this quilting ruler is simple to read and use. 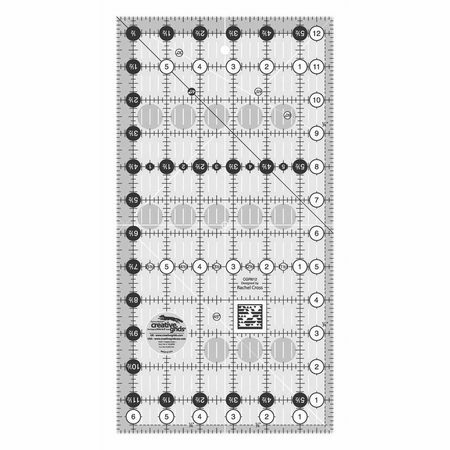 One side of the ruler has black numbers printed on white dots in even increments, but when you use the patented Turn-A-Round feature you get white numbers printed on black dots in 1/2" increments. There are 1" grids with 1/8" and 1/4" increments with the edition of a 45, 30, and 60 degree angle. 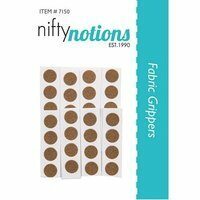 Equipped with Creative Grid's exclusive grip, this 6-1/2" x 12-1/2" ruler slides easily on fabric yet stays in place when pressure is applied. Scan the QR Code printed on the ruler to view a tutorial of these features. Made in the USA.